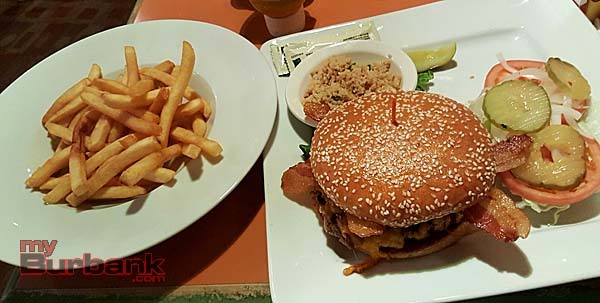 Although we were in Burbank, we went off the beaten path this week to Bob Hope Airport or Hollywood/Burbank Airport, whichever you call it now, for this week’s burger review. Note that if you want to come here, you will need to park in the structure that will cost you some $$. But, if you can afford that, you can afford to eat at the Lunch Box. The Lunch Box is located right inside the main terminal just to the left after you walk in. The place is larger than you might think and has a nice atmosphere. Their menu is a lot larger with many items on it but what I could see the food looked pretty good as it was being walked past our table. They also have numerous televisions inside so you will not miss any of that sports action. They have a few burgers on their menu and I went with the bacon/cheddar burger. The waitress asked how I wanted the half pound patty cooked and of course, medium rare. I hoped I was getting something great for the $12.95 price (without fries which were $3 more). When the burger came after about 12 minutes, it looked pretty good. The bun was nice sized and toasted well on both sides of the patty. Of course, the bottom bun and the patty were making contact without anything in between so I knew we might be in trouble with the bun. They include a package of mayonnaise along with ketchup and mustard for the dry top bun. They also include lettuce, pickles, tomato and raw onions on the side of the plate along with a pickle spear which was very fresh and crisp. The bacon looked as though it was just made and the cheddar cheese was flowing. I was very hopeful but soon my hopes were dashed – the burger was cooked medium and not medium rare. There was no pink in the center and the juice was at a minimum. I thought back to my order and I remember our waitress taking our order and she did not do something important – write it down! She just memorized everything. Forgetting to tell a cook medium rare results in a disaster for the customer – me! The patty was fresh and overall the burger tasted alright, it just did not have the juicy flavor I look for in a masterpiece, hence the second-tier rating. 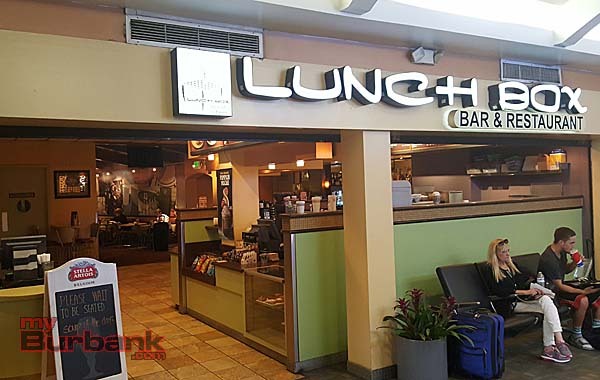 If you get to the airport early and you have to wait, I do recommend the Lunch Box, just make sure the waitress writes down your order correctly. Side Notes: They did not have much for appetizers so we went without and besides, at their prices, my editor would have thrown a fit when he saw the receipt. They did give couscous cold salad with the burger which might have been alright, but did not do much for my pallet. Ordered the fries well done as an additional item and she did get that right and they were cooked perfect and I enjoyed them although they were very plain and could use some seasoning. 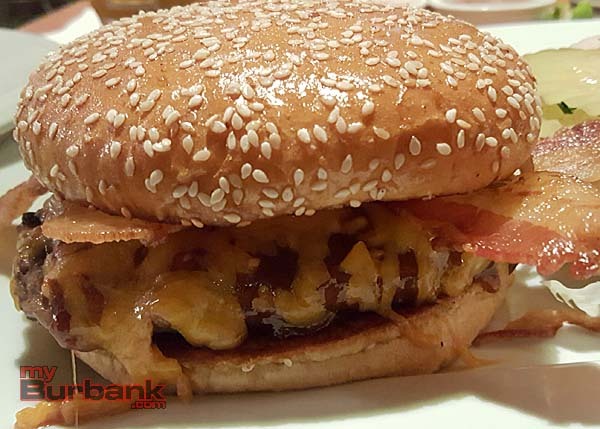 This entry was posted in Burgers, News and tagged Burger Review, Lunch Box on September 3, 2016 by Burger Dude.